Extra large front storage box to fit 3 way fridge or other bulky items. Fits to all models of Camp-let trailer tent from 2007 onwards and most other A-frame trailers with options for braked and unbraked versions. Medium size front storage box for storing gas bottle or other smaller items. Fits to most trailer tents with A-frame or straight draw bar. Extra large steel front storage box to fit bulky items such as camping fridge or gas bottle as well as other items you want easy access to. Fits to Trigano, Cabanon and other trailer tents with long A frame. Extra large plastic front storage box to fit bulky items such as camping fridge or gas bottle as well as other items you want easy access to. 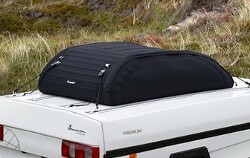 Fits to Trigano, Cabanon and other trailer tents with long A frame.